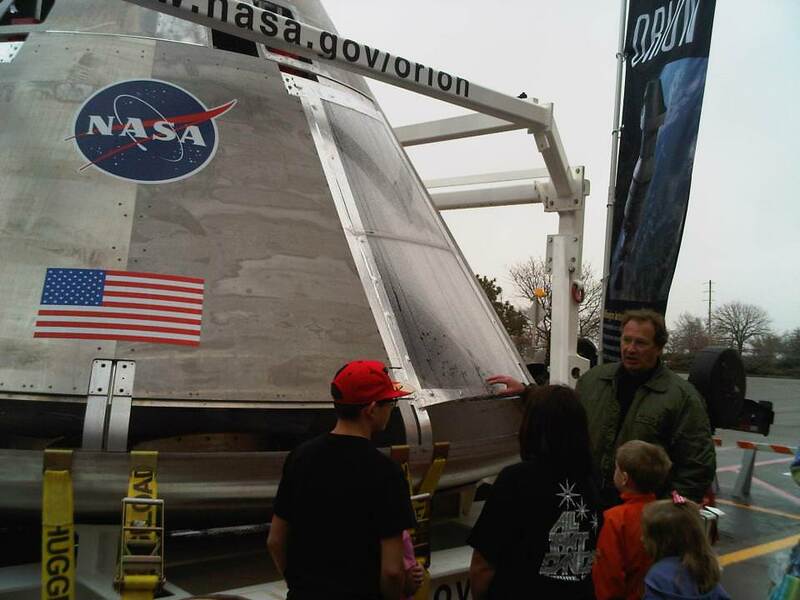 Here’s your chance for a birds-eye view of an Orion capsule, up-close and personal ! Catch it if you can ! 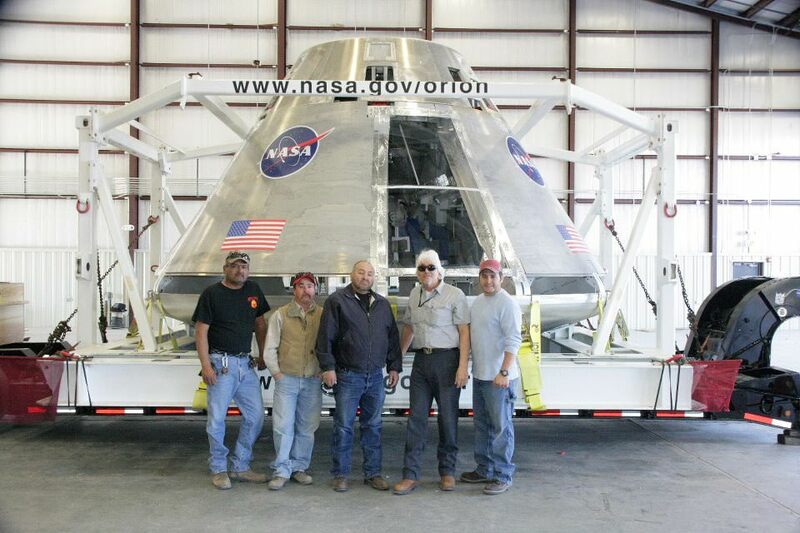 A full scale test version of one of NASA’s Orion spacecraft has embarked on a cross country tour from White Sands, New Mexico, across several states in the southern United States that ultimately lands at the Kennedy Space Center in Florida. Starting today, Jan. 27, an Orion spacecraft is open for viewing by the public in Texas at Victory Park and the American Airlines Center in Dallas. 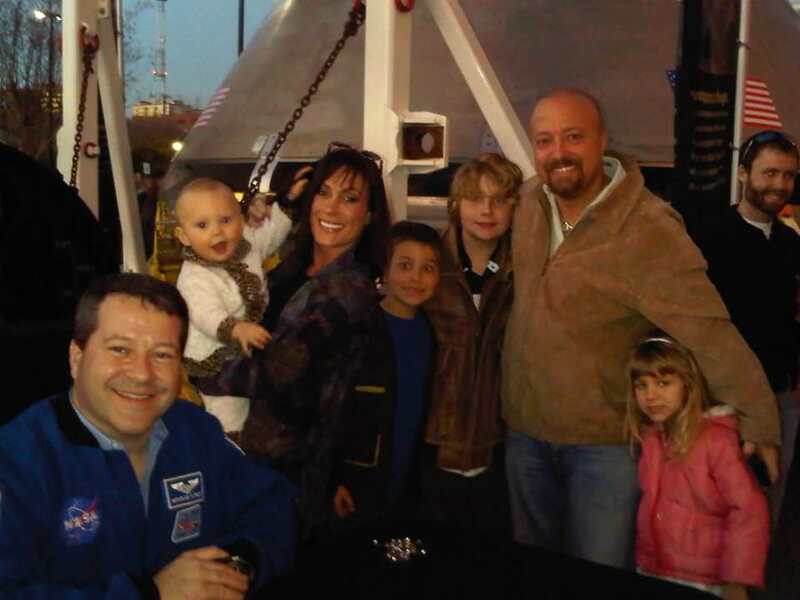 The Coopers from Southlake meet NASA astronaut Nick Patrick by the Orion crew module now on display at the American Airlines Center in Dallas, TX. The display continues throughout this weekend after a well received visit to Oklahoma at the Science Museum Oklahoma in Oklahoma City. 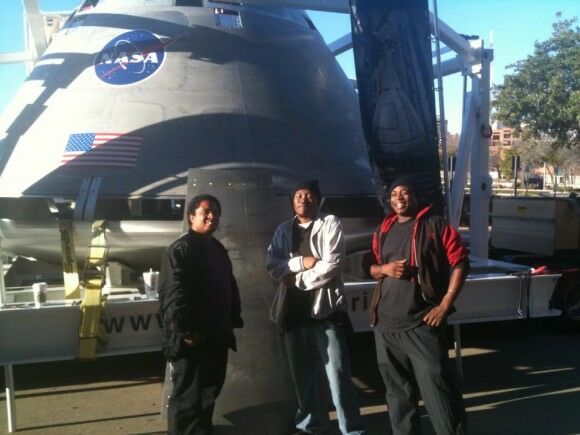 The next stop on the cross country journey is the U.S. Space and Rocket Center in Huntsville, Ala on Feb 1-2. Orion is NASA’s next generation human spaceflight vehicle that will eventually replace the space shuttle and loft astronauts to low Earth orbit and beyond to deep space destinations such as the Moon, Asteroids and Mars. It can also dock at the International Space Station (ISS). The Orion crew module journey is a wonderful and fun opportunity for individuals and families to see real space exploration hardware with your own eyes and learn all about the goals and plans of the US Space Program and your investment in it as a taxpayer. Knowledgeable Orion experts will be on hand to speak with visitors in easy to understand ways. This includes astronauts, engineers, program officials and press spokespeople from NASA, Lockheed-Martin (Orion prime contractor) and other companies involved in building the Orion capsule and other components that will rocket the vehicle to orbit. Veteran NASA Astronauts Nick Patrick and Clay Anderson will be on hand at the Dallas stop. NASA Astronauts Doug Hurley and Jim Dutton will attend the Alabama display. Hurley was the pilot for the final shuttle mission by Space Shuttle Atlantis for the STS-135 mission to the International Space Station. The Orion tour also includes colorful and informative display panels and fun kids activities that I’ve personally witnessed on several occasions. In past years the Orion Launch Abort System (LAS) engaged in similar trips. This Orion test vehicle was used by ground crews preparing for the PA-1 launch abort system flight test that took place in New Mexico in 2010. The first orbital flight test of an unmanned Orion is scheduled for 2014 atop a Delta 4 Heavy booster..
NASA’s future has suddenly become a hot topic in the GOP Presidential Debates. Orion is at the center of that debate on whether Americans will ever return to the Moon. Gee, might have been nice if they’d have had it on display for a day in the city where they work and live, Las Cruces. What a waist of taxpayer money. The Dragon and Boeing capsule do the same exact thing. The Dragon capsule exists now and has better heat shield. The Orion crew module display at the U.S. Space & Rocket Center in Huntsville is extended through this weekend – until Feb. 5 !